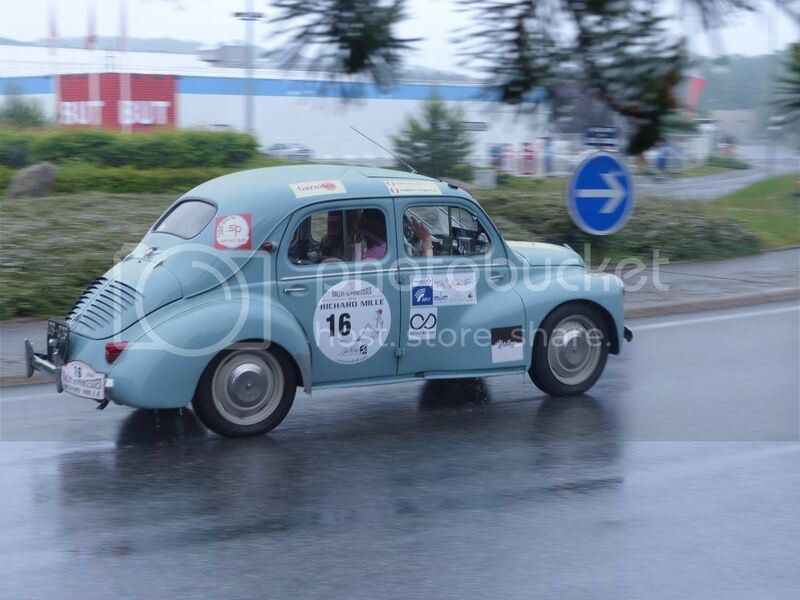 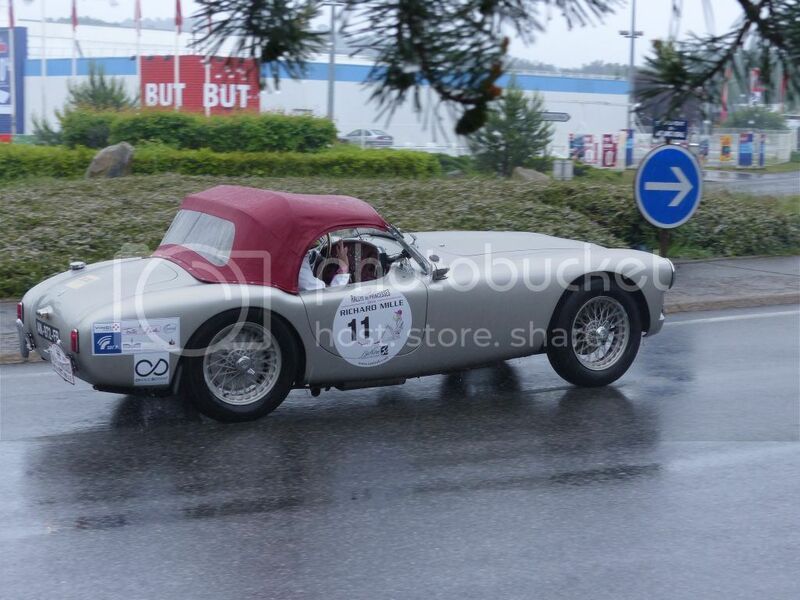 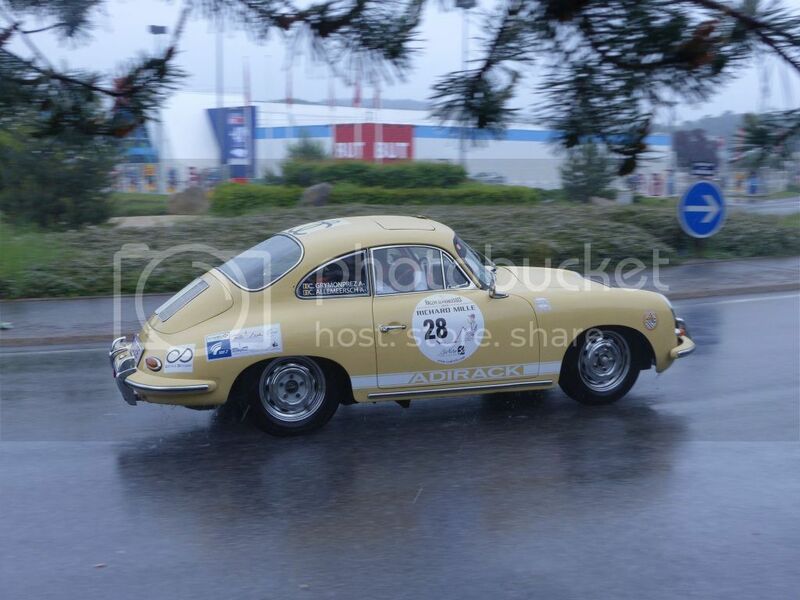 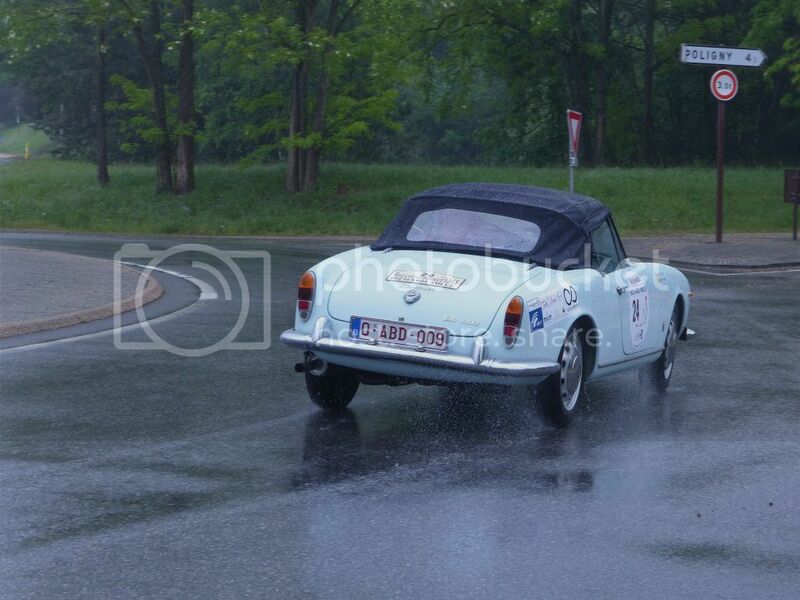 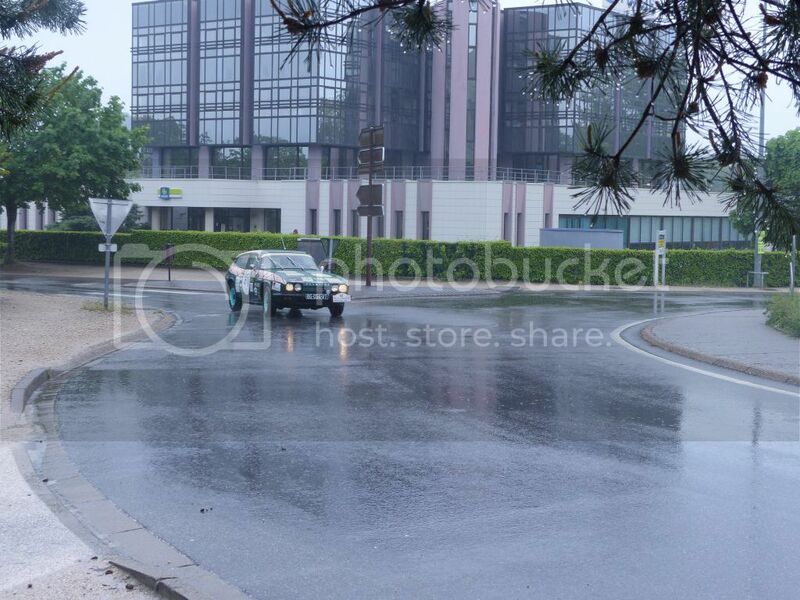 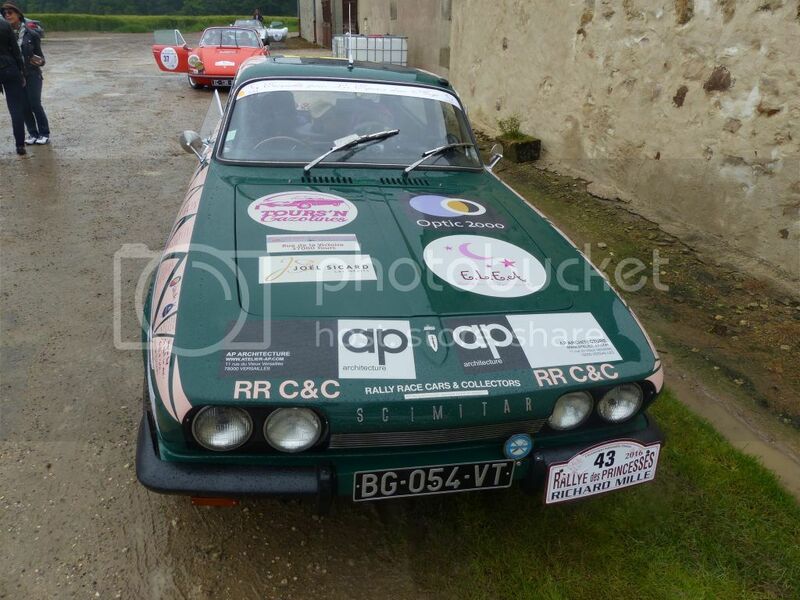 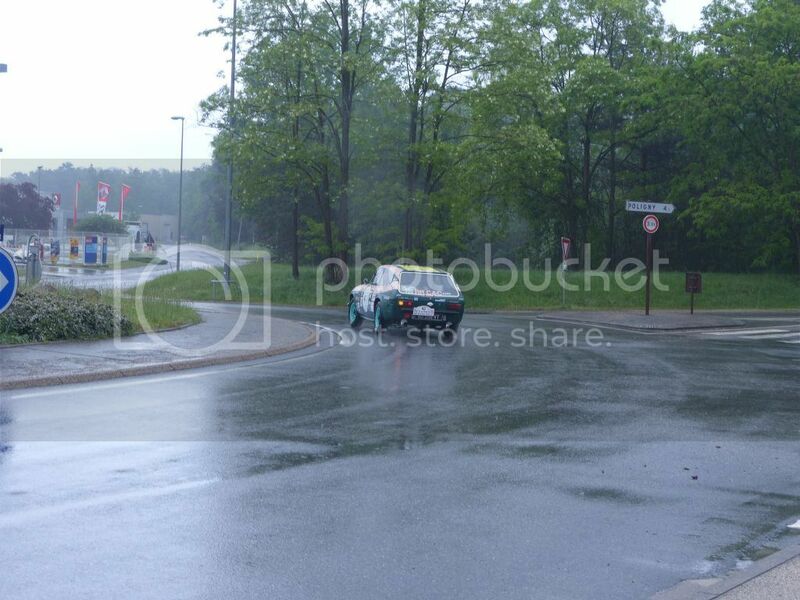 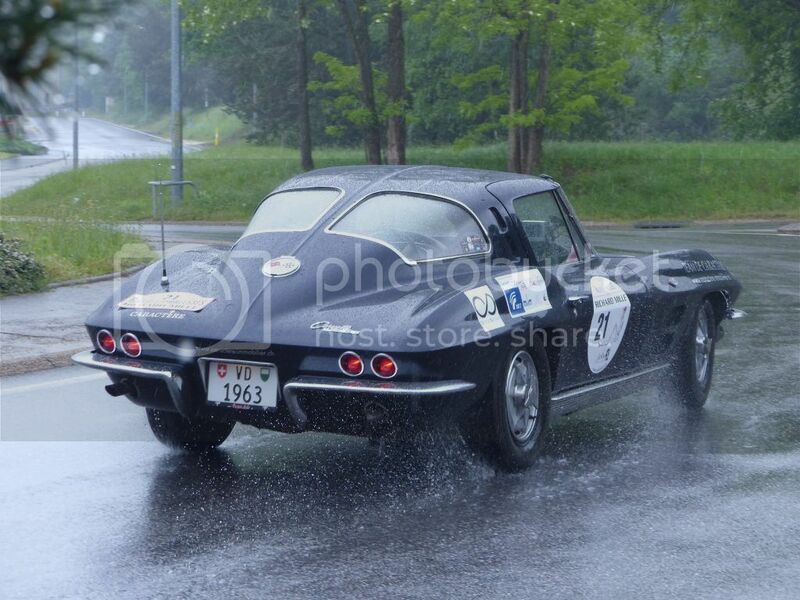 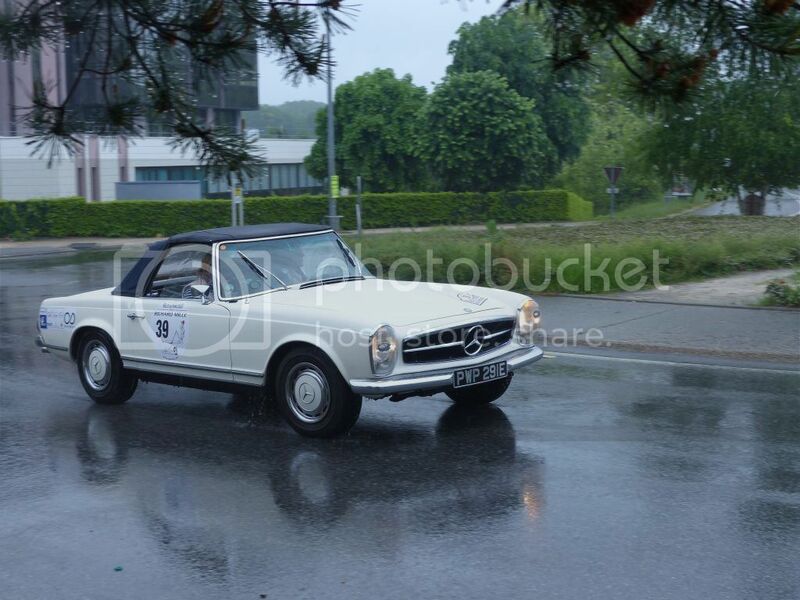 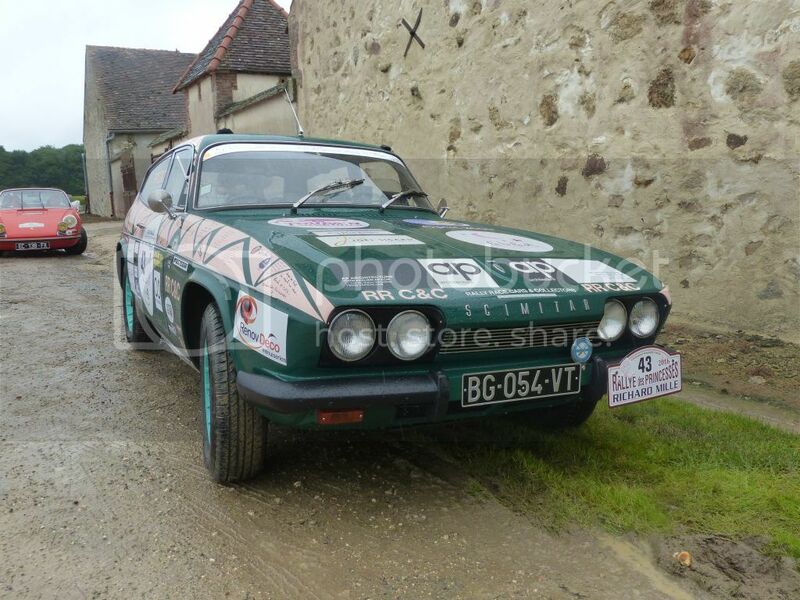 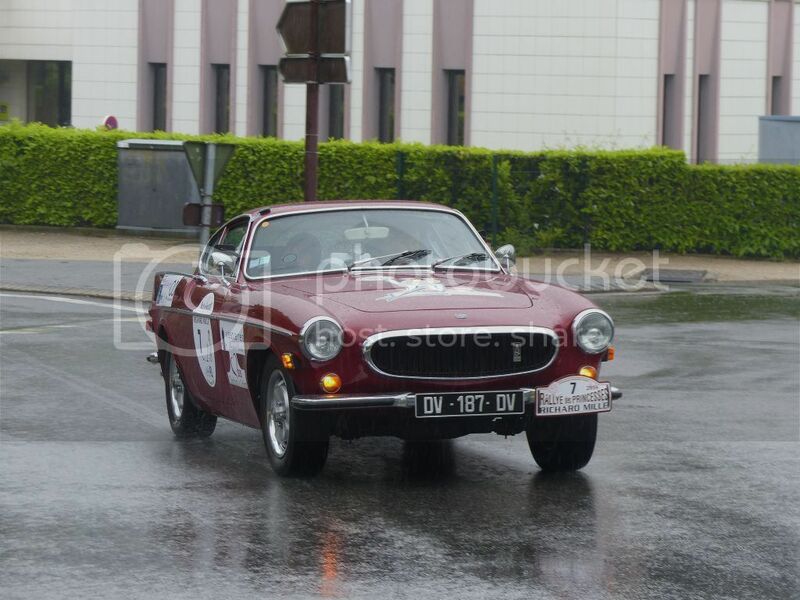 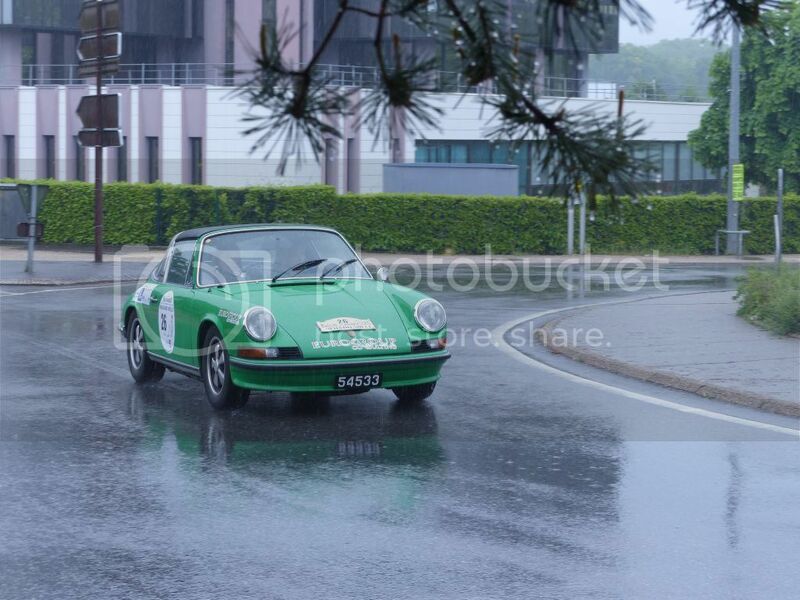 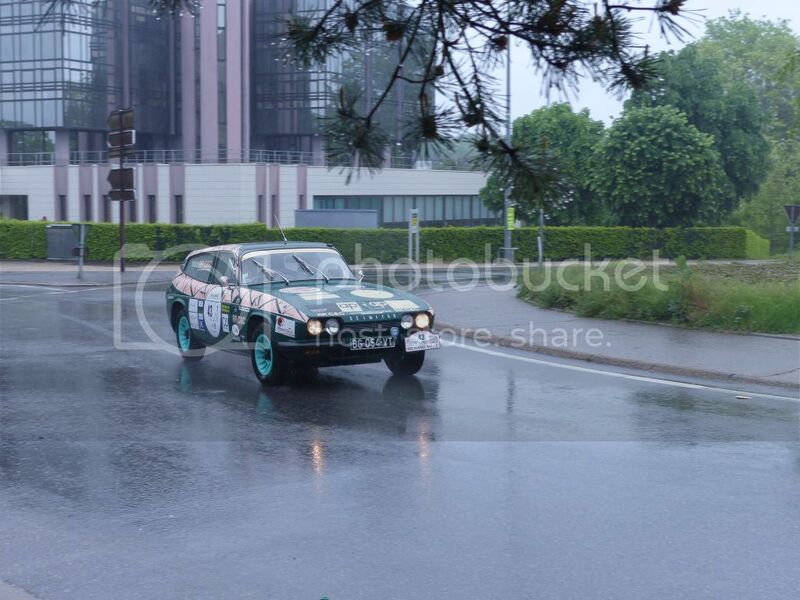 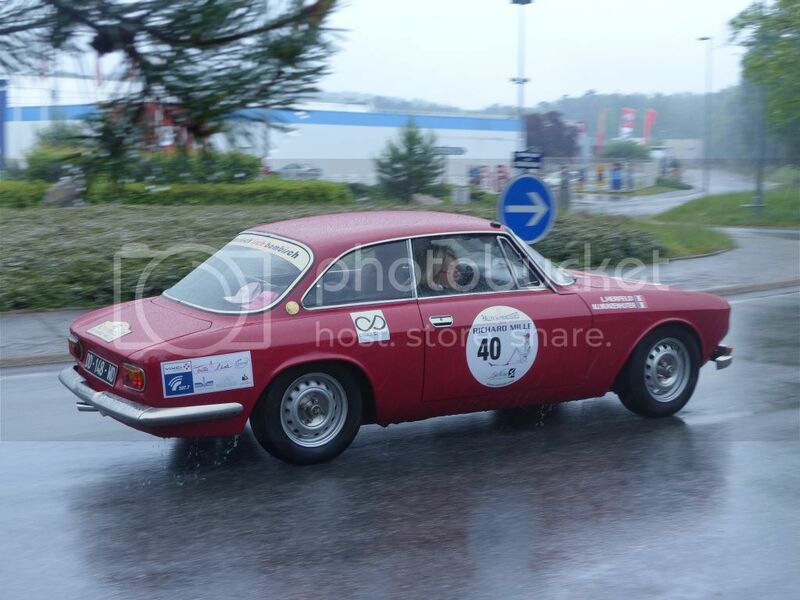 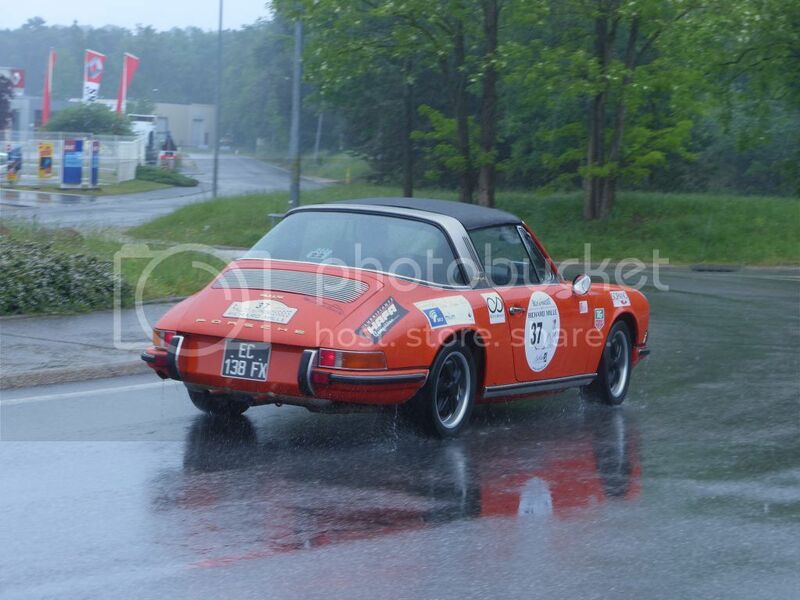 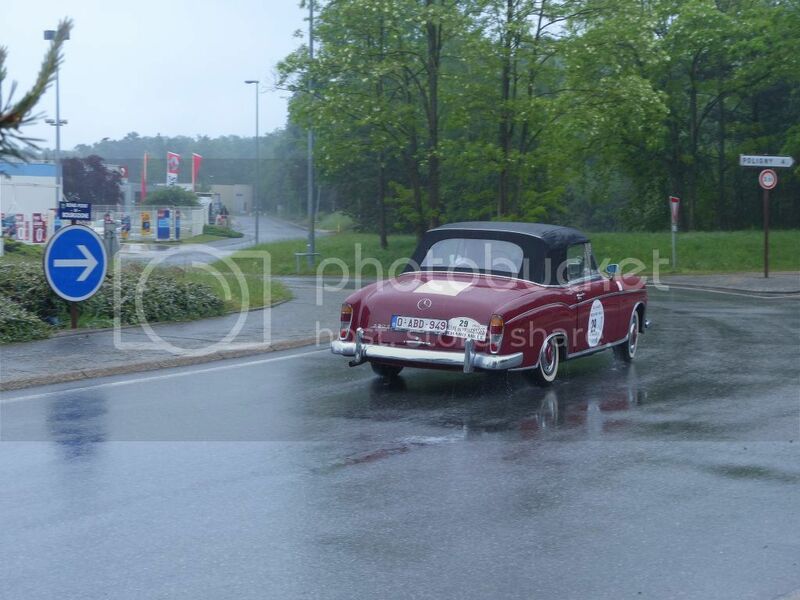 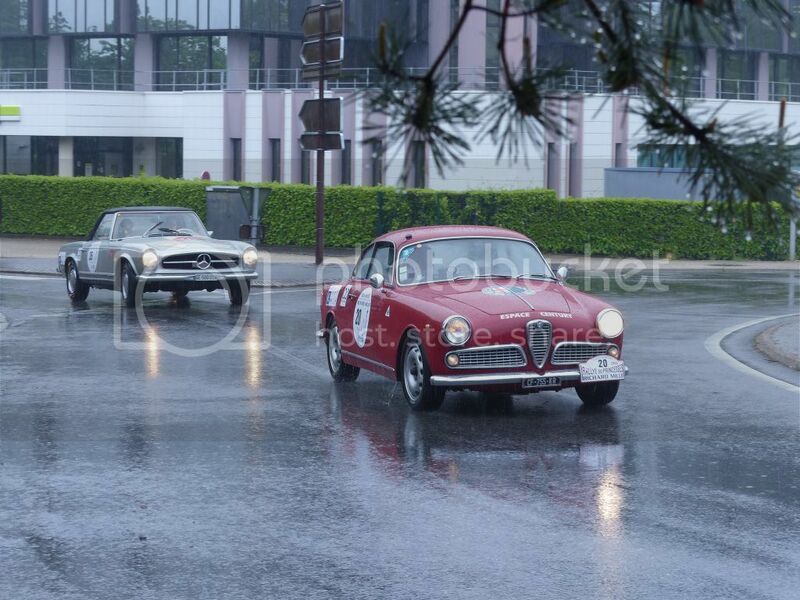 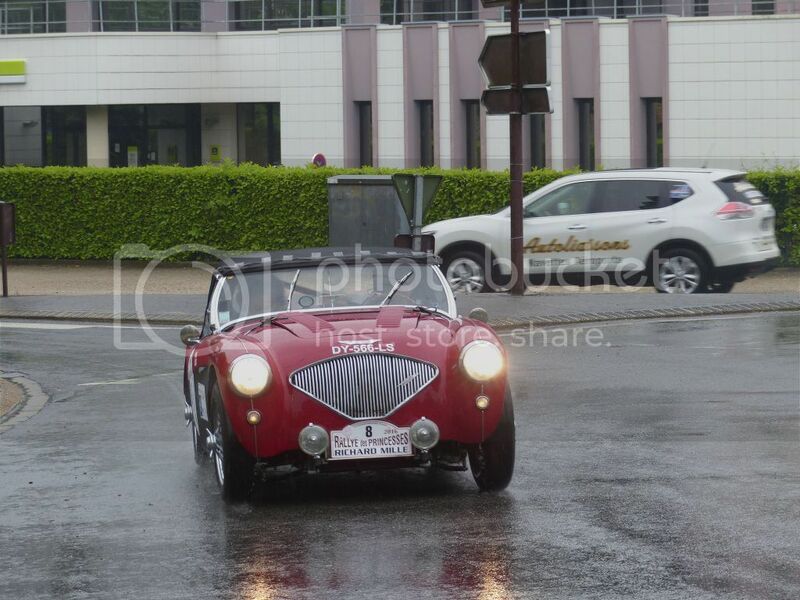 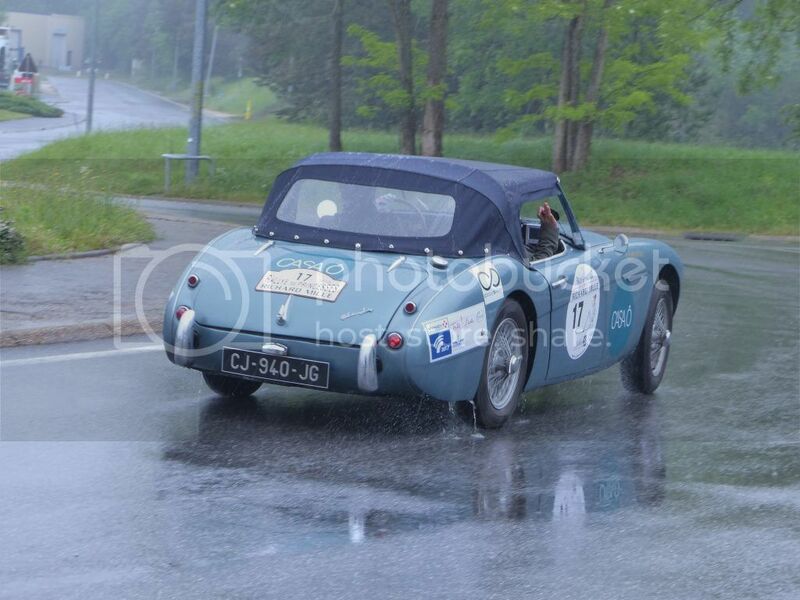 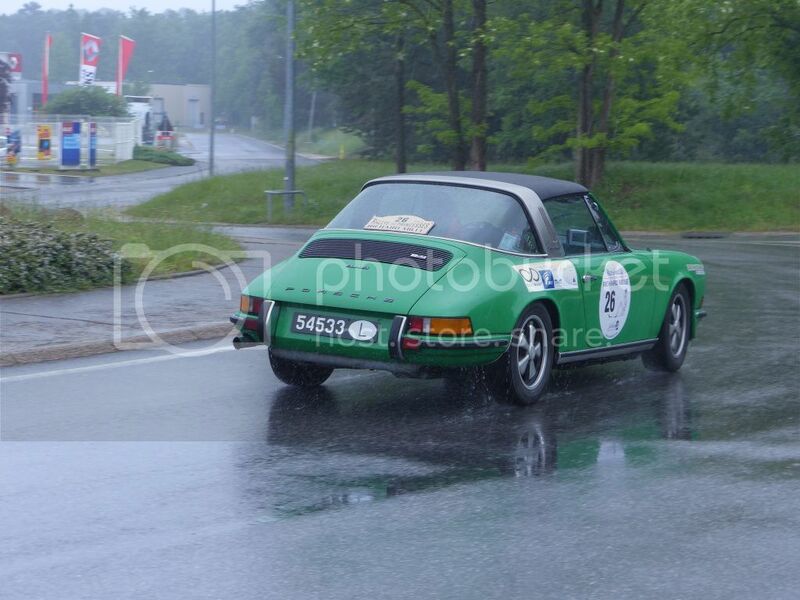 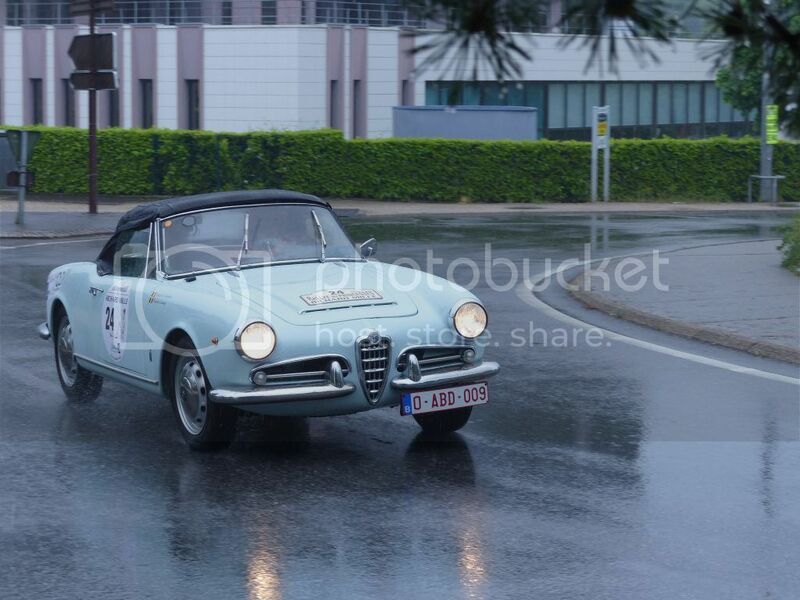 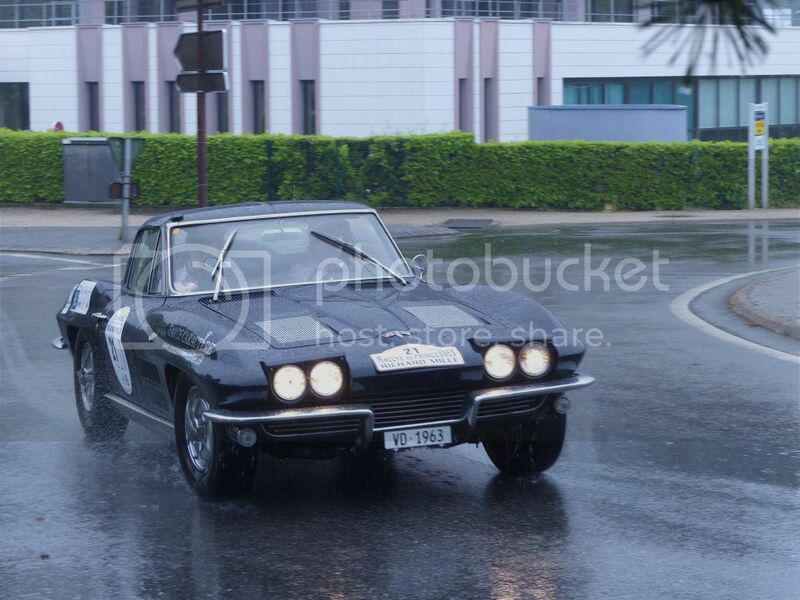 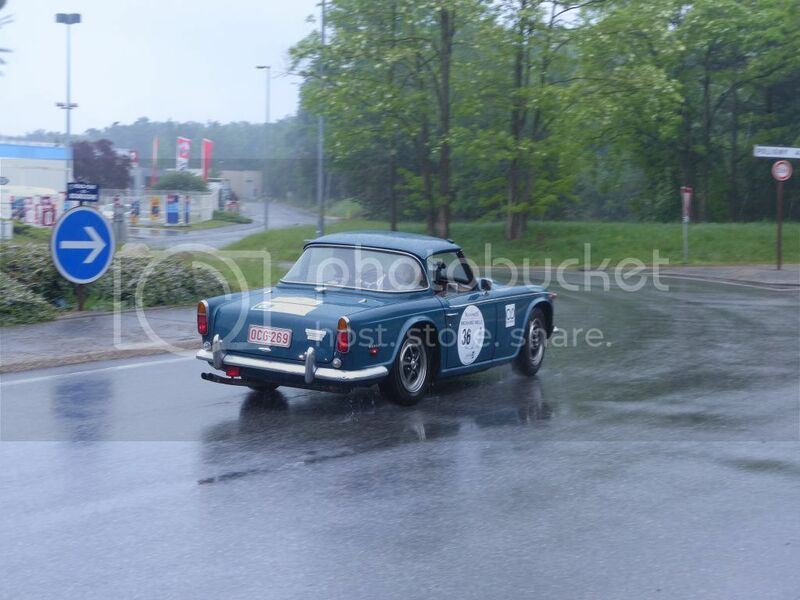 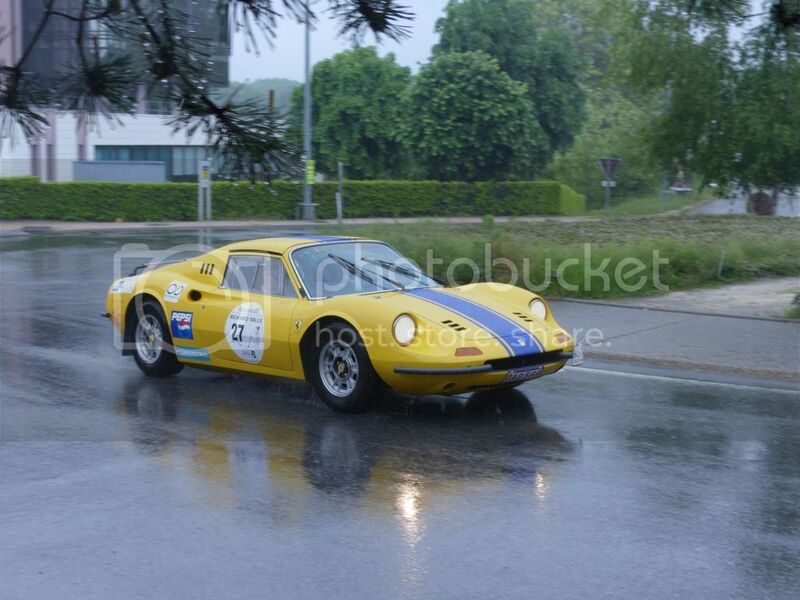 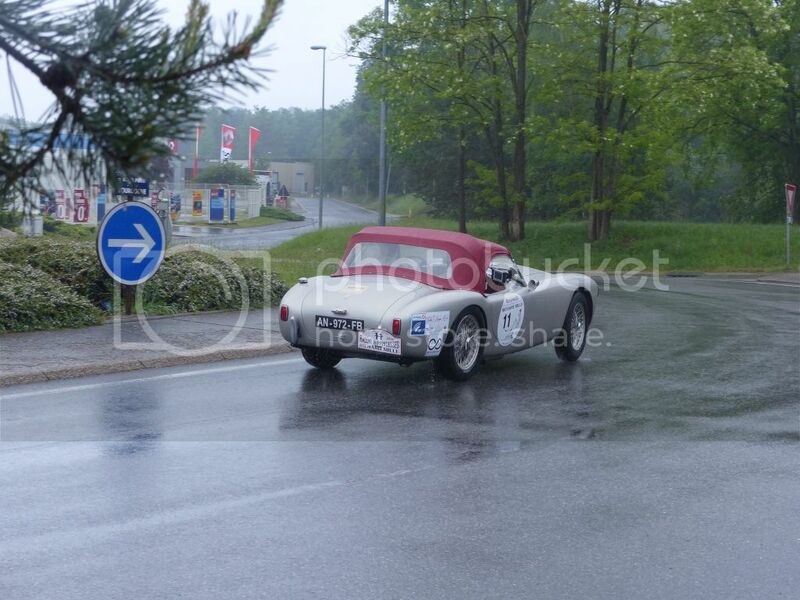 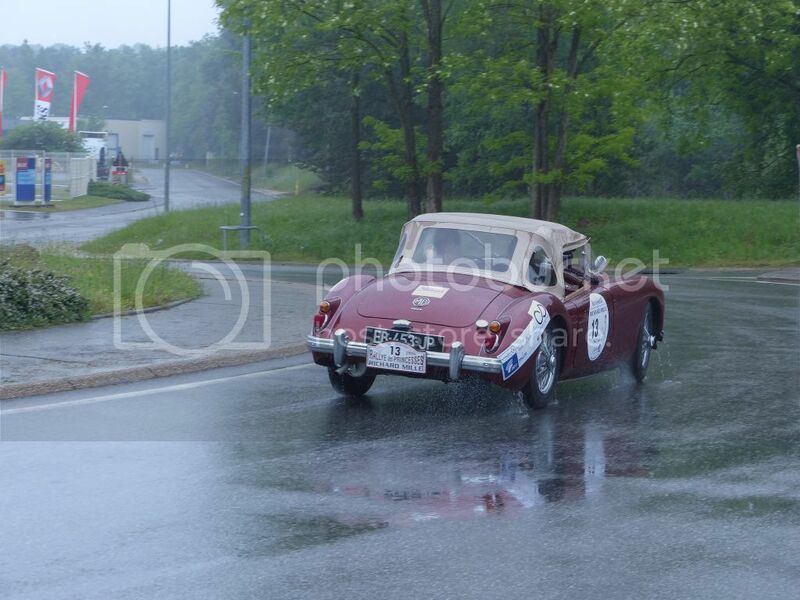 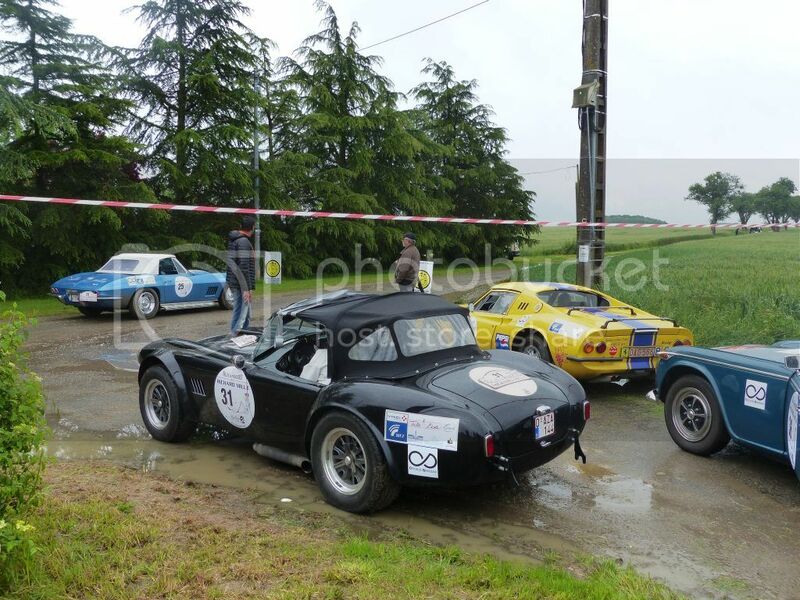 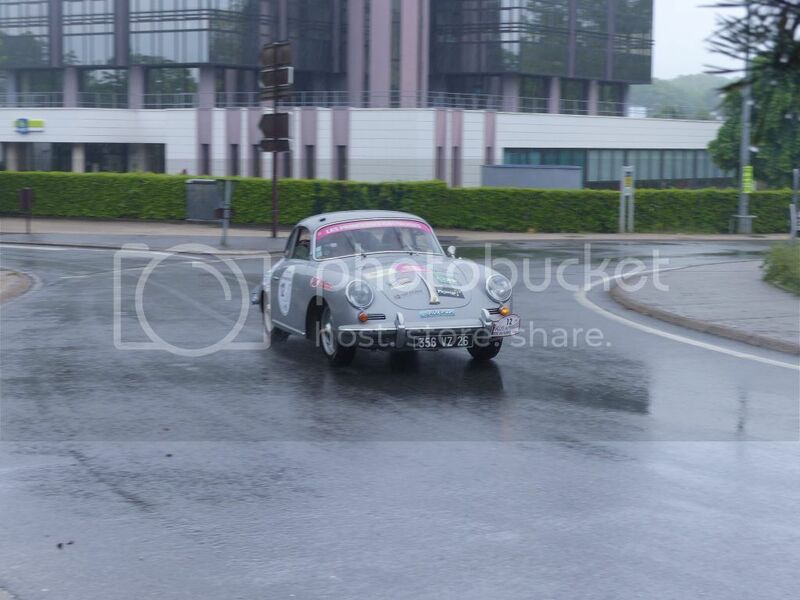 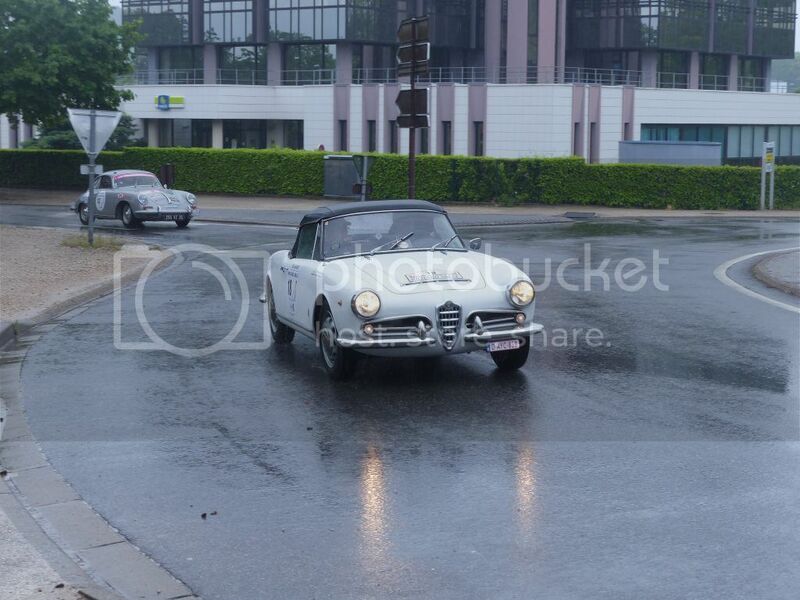 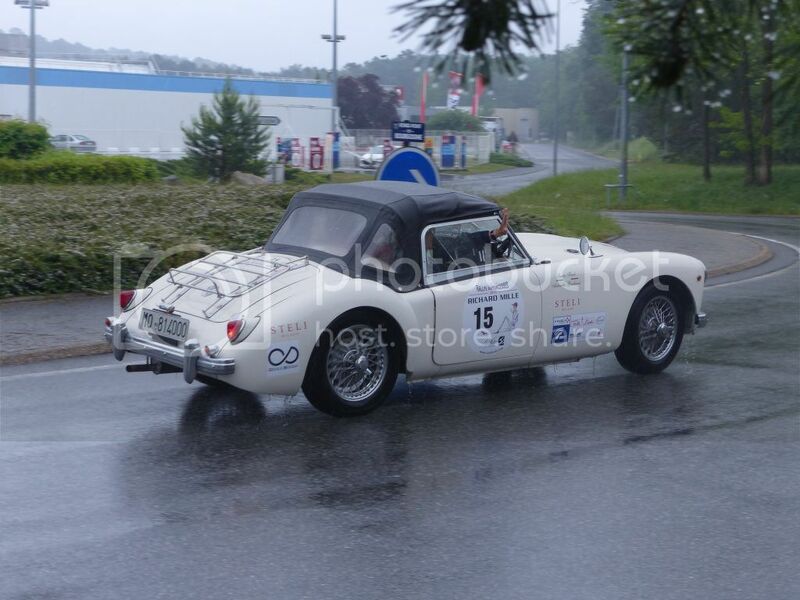 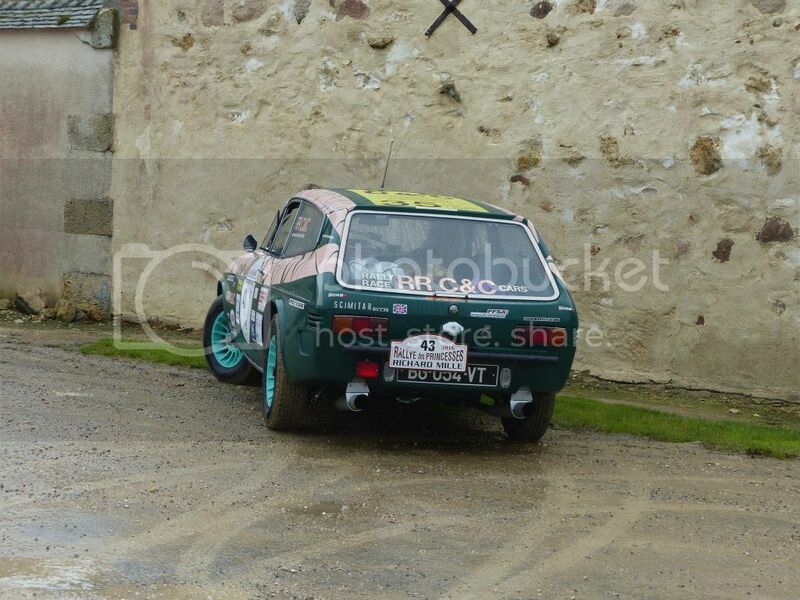 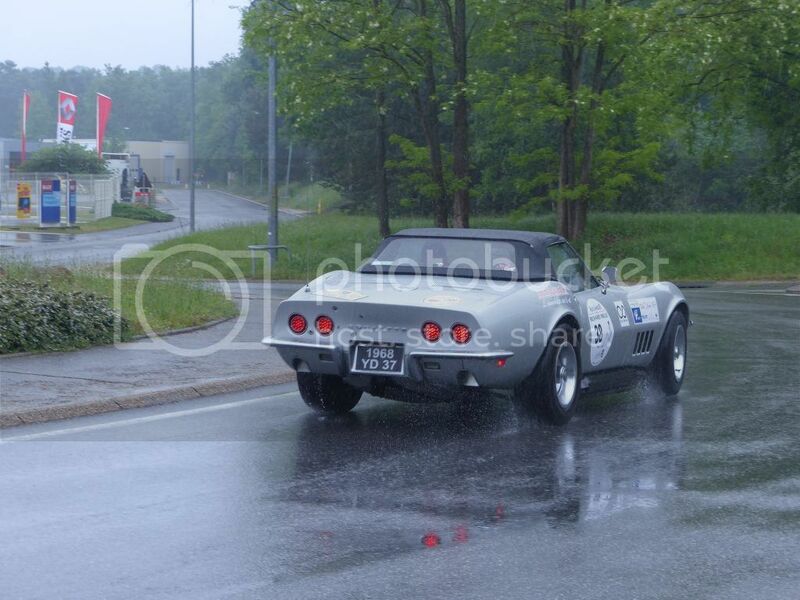 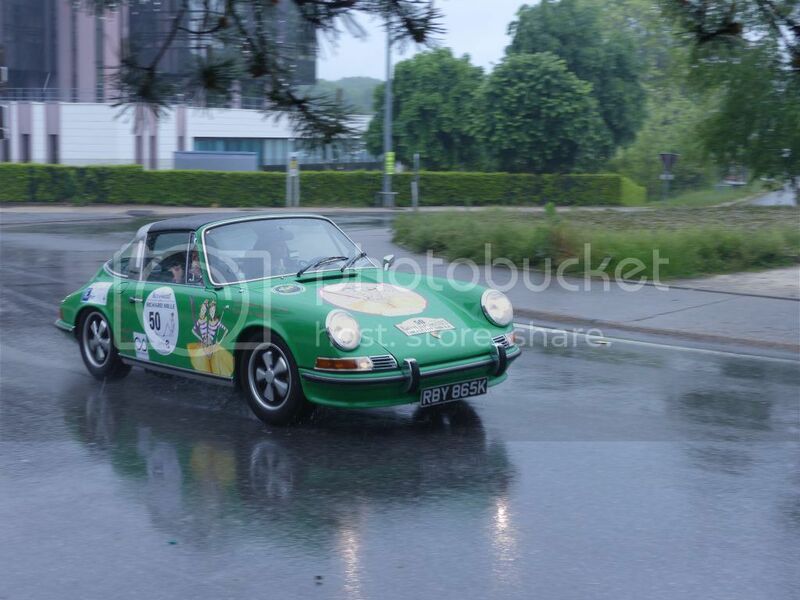 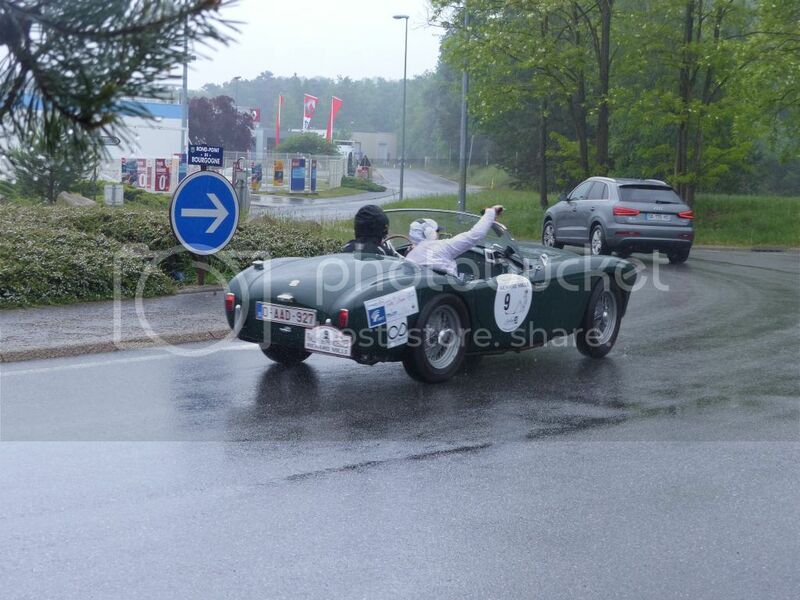 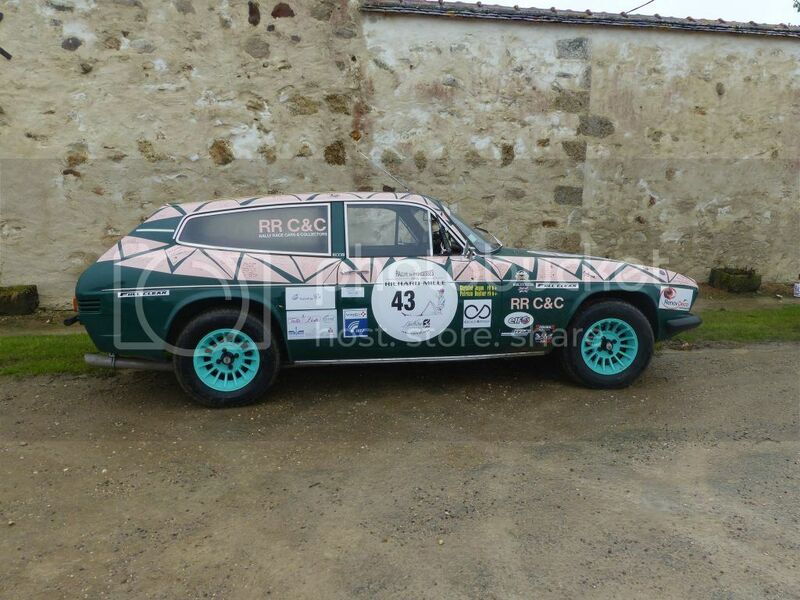 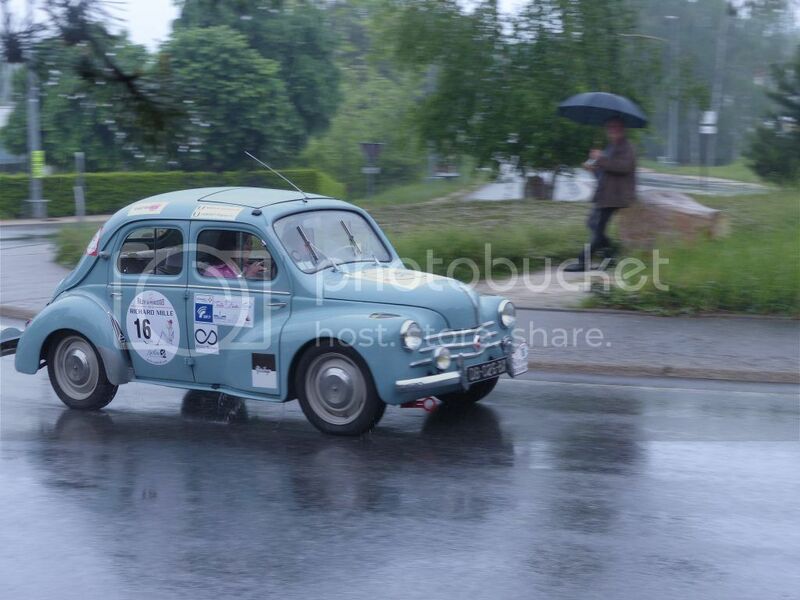 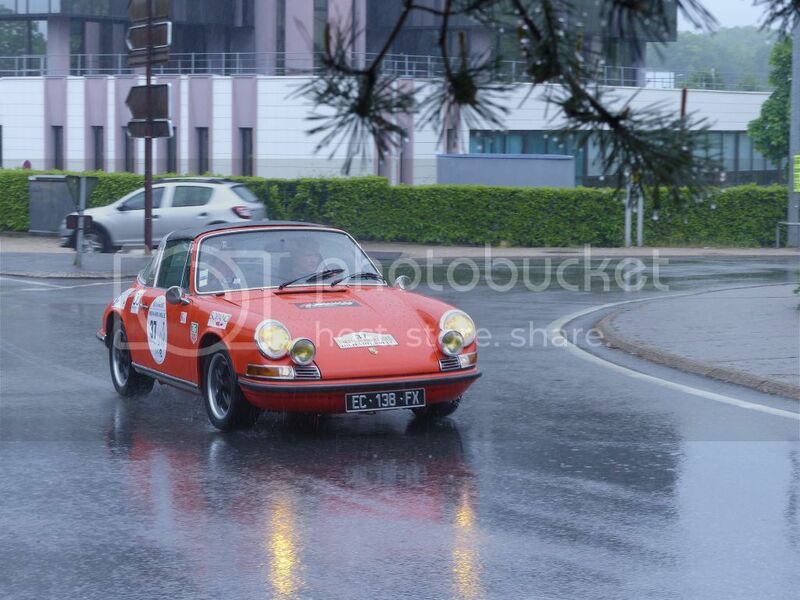 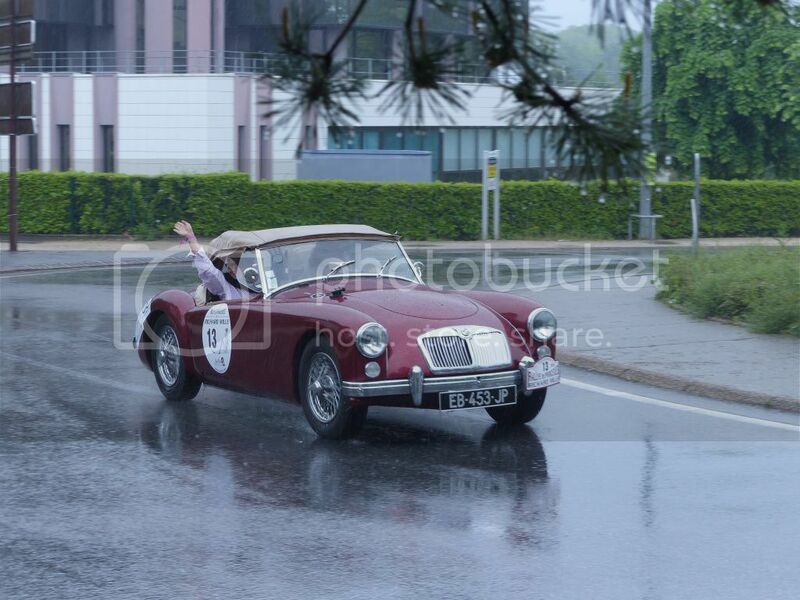 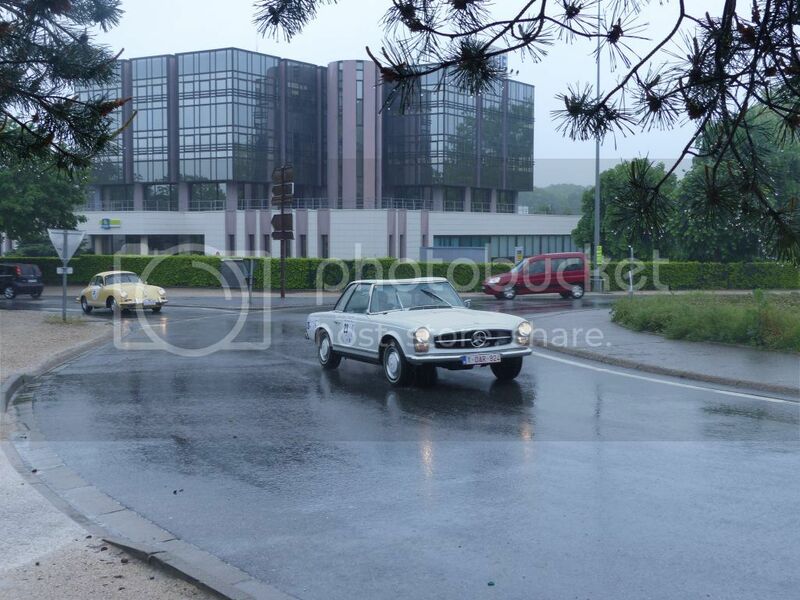 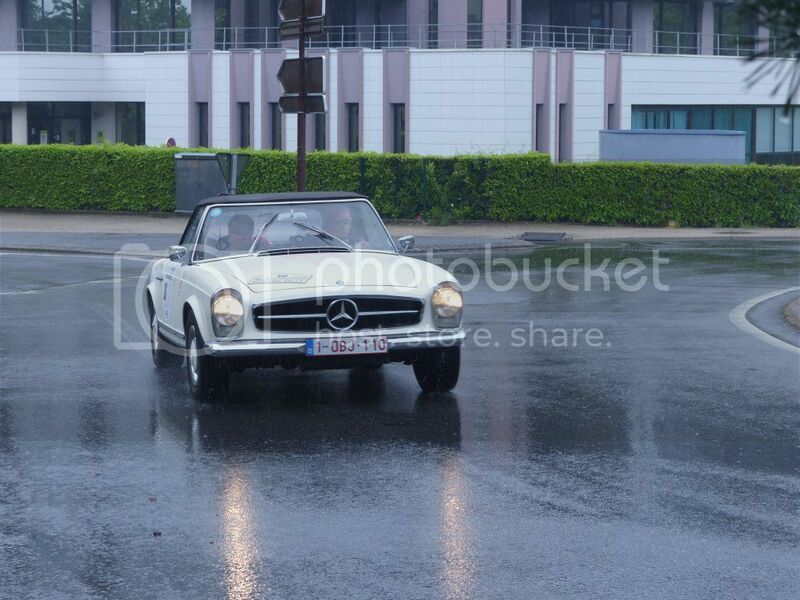 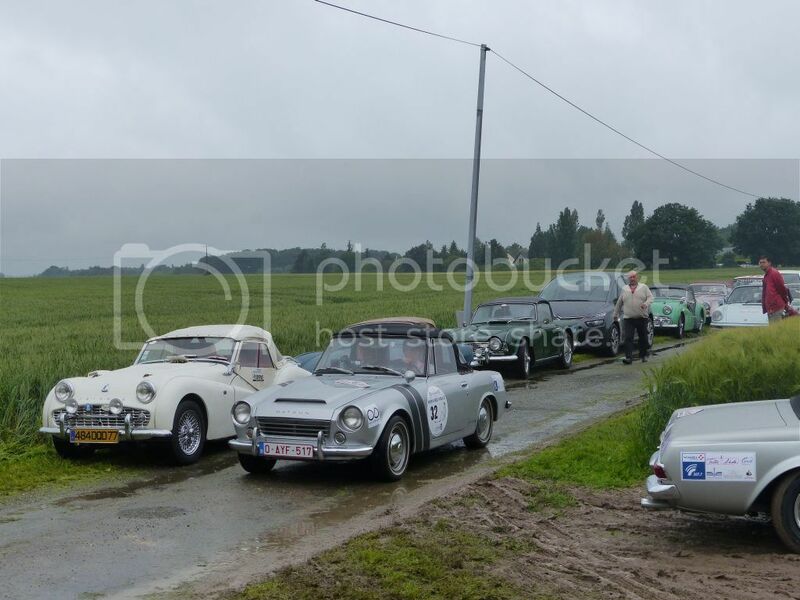 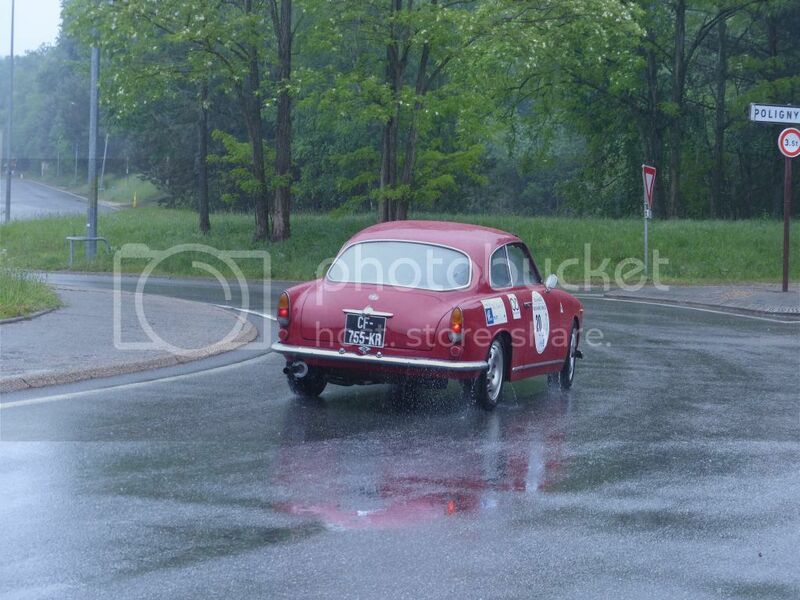 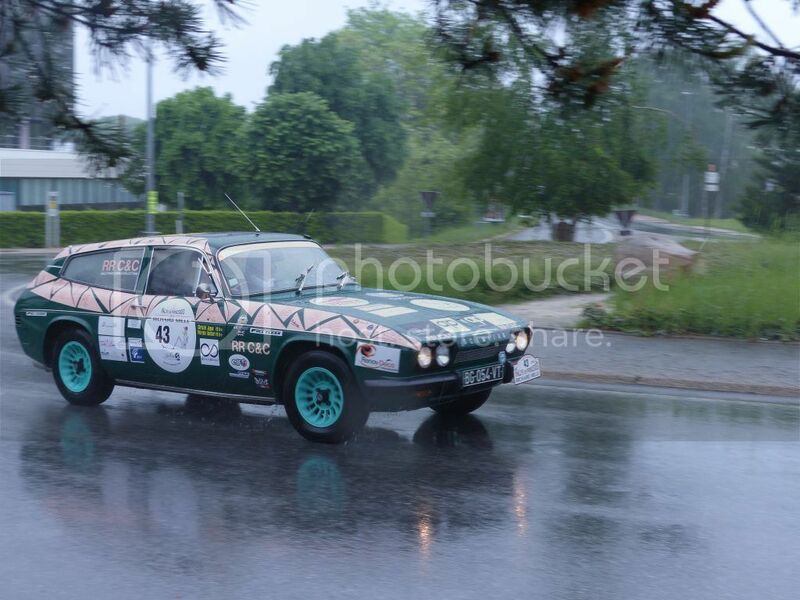 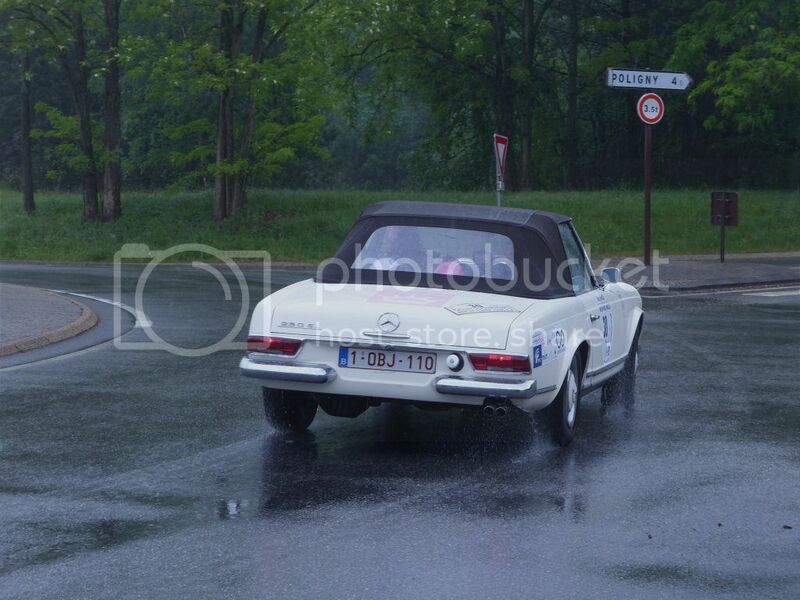 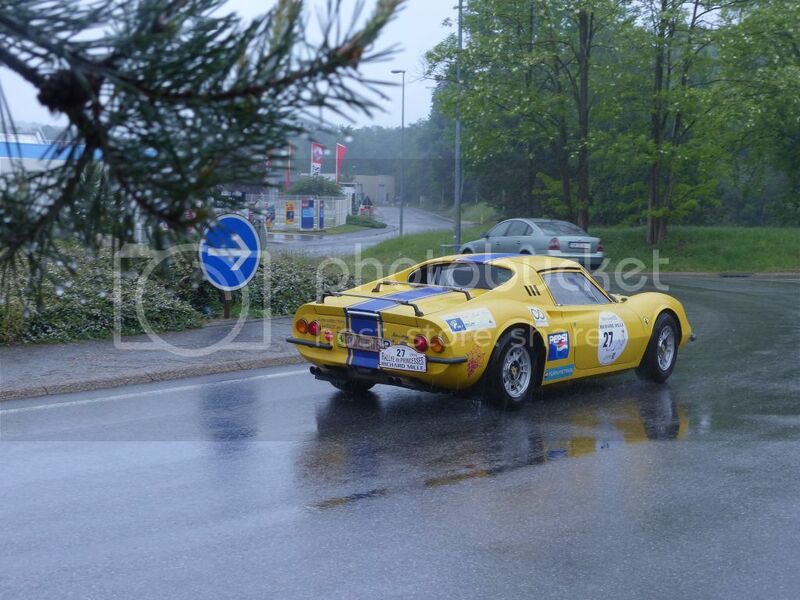 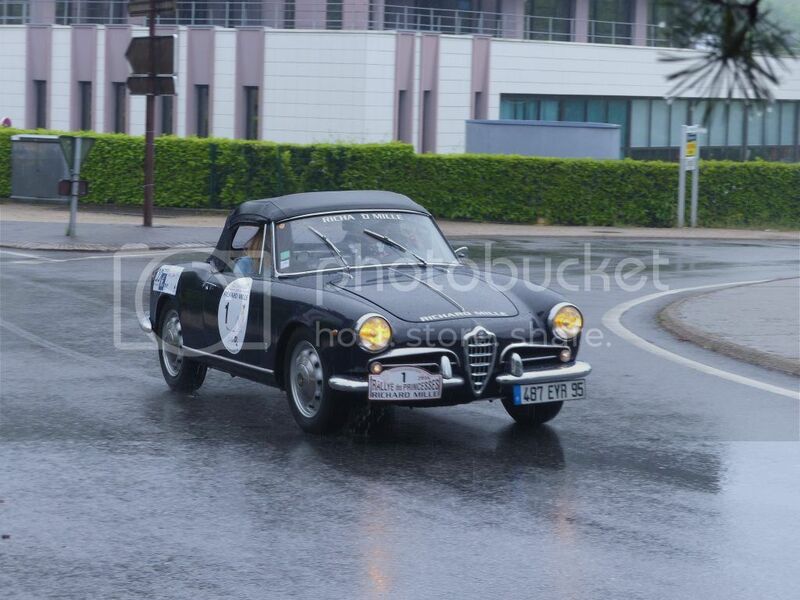 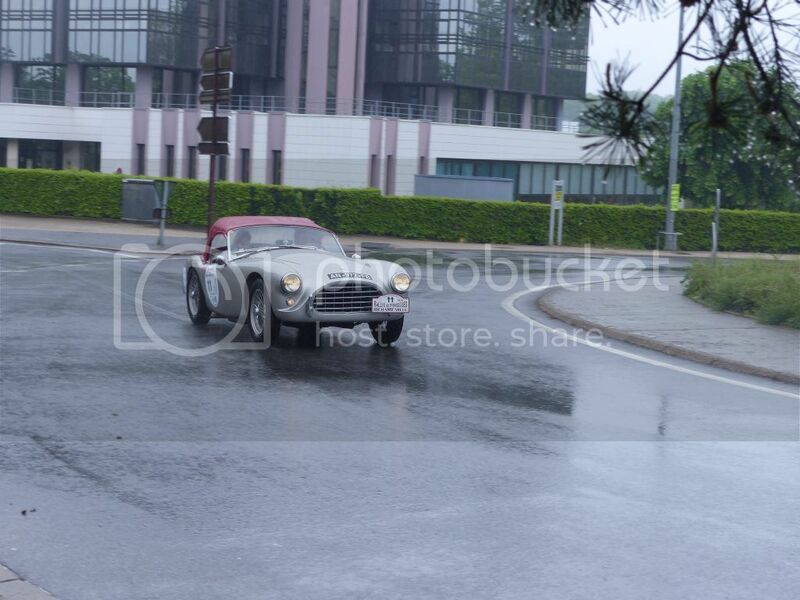 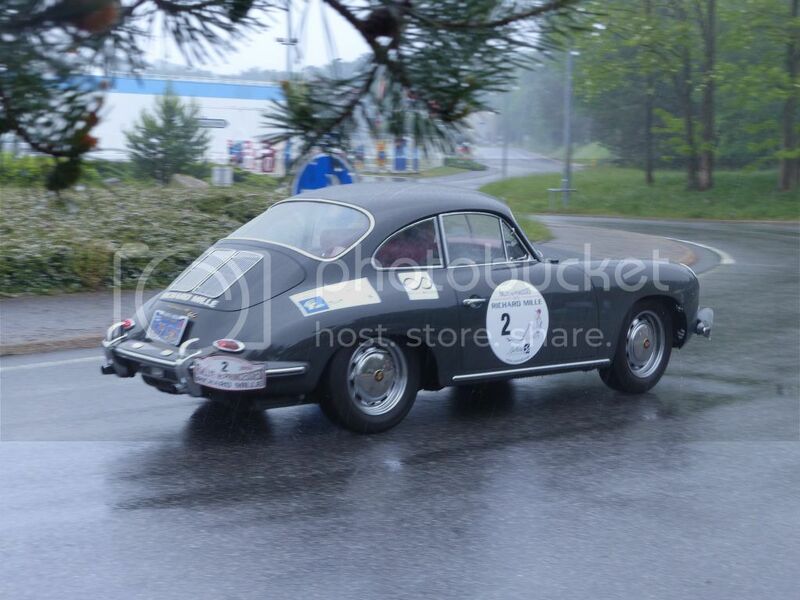 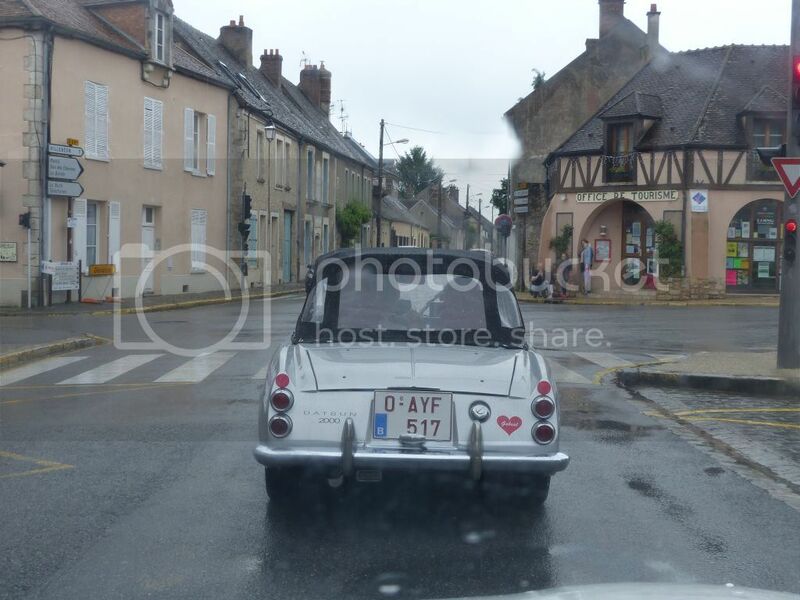 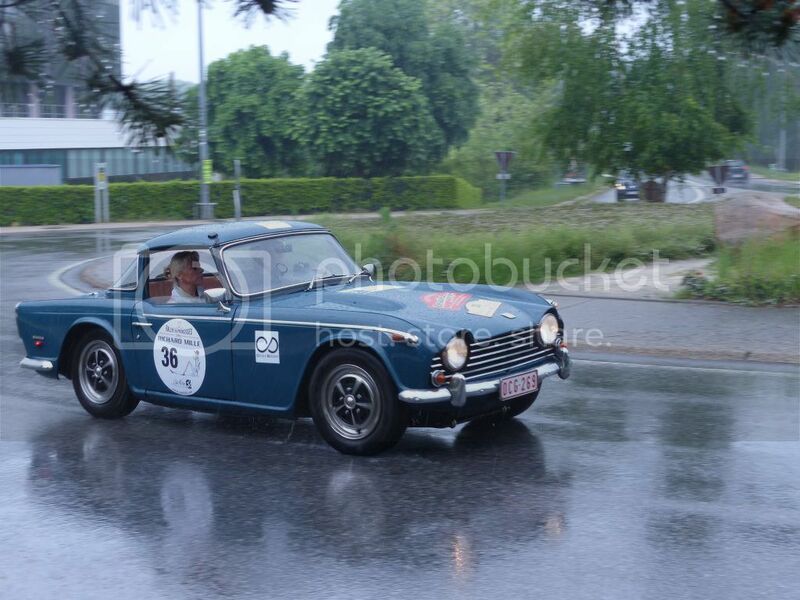 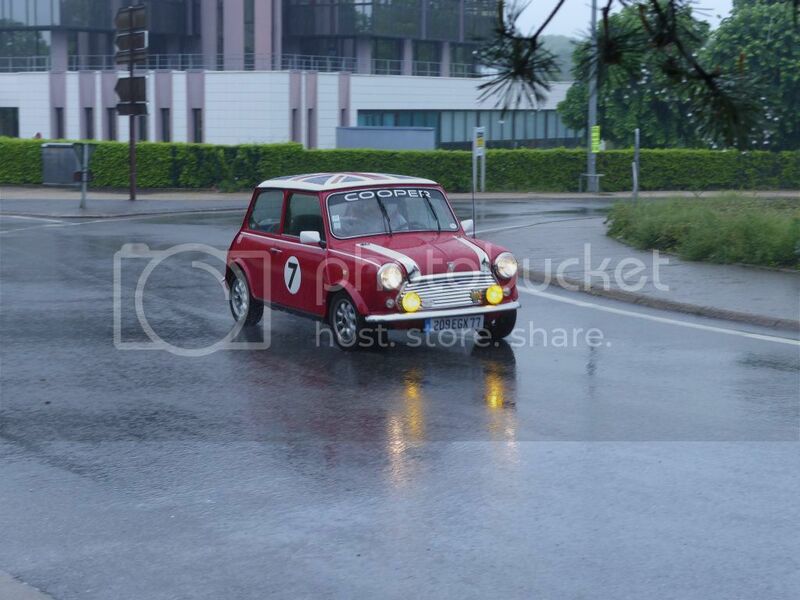 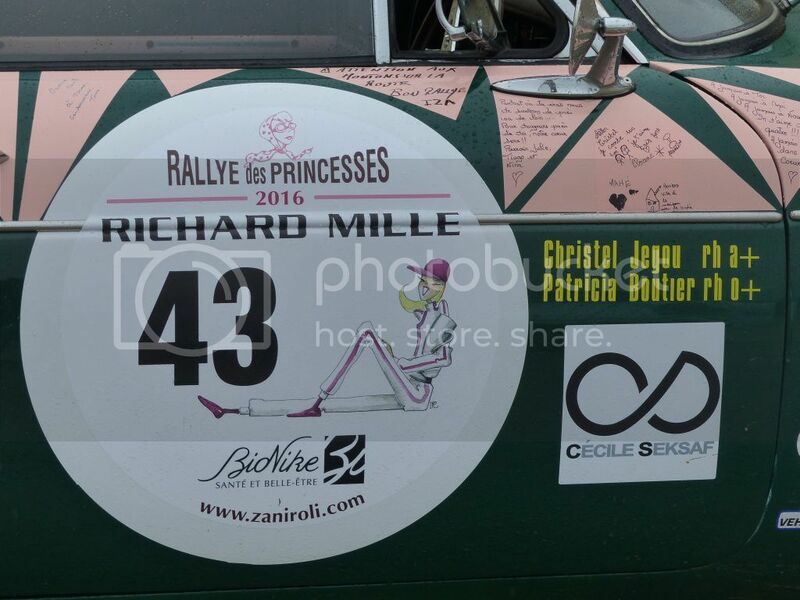 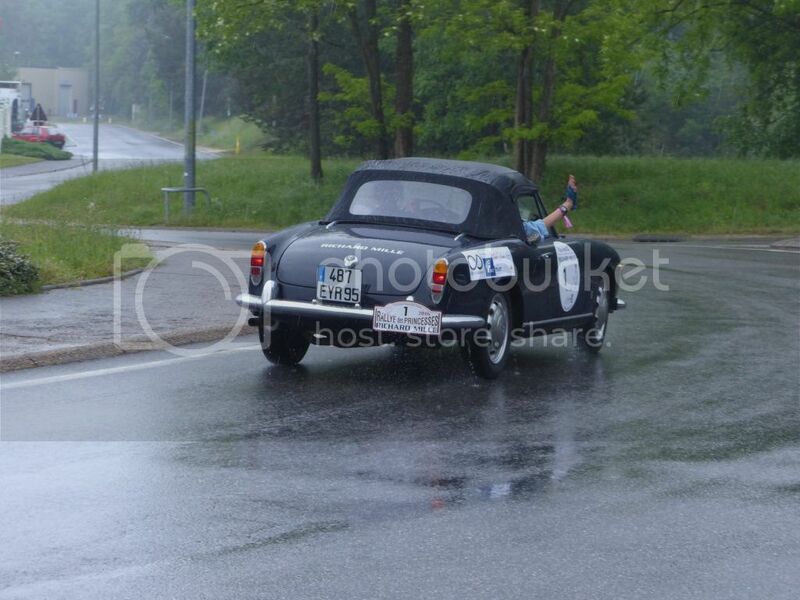 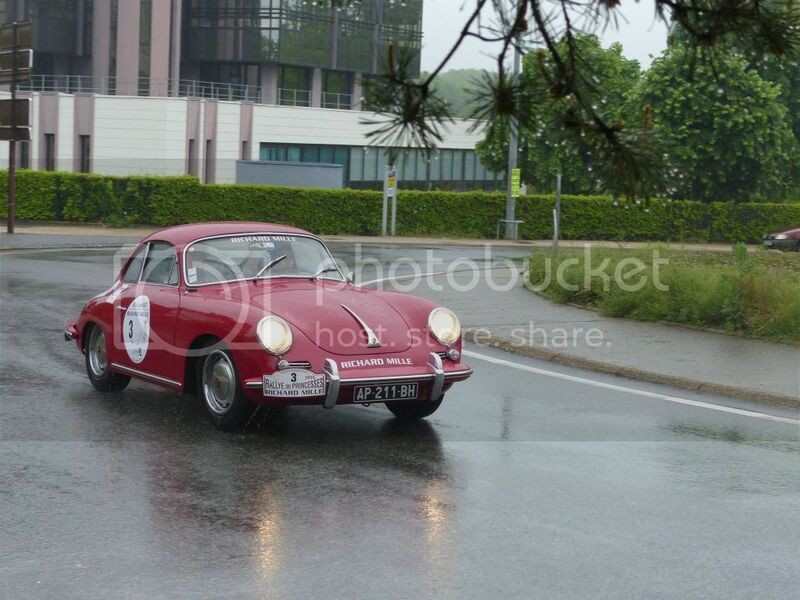 The 2016 edition of the Rallye des Princesses was held at the end of May. 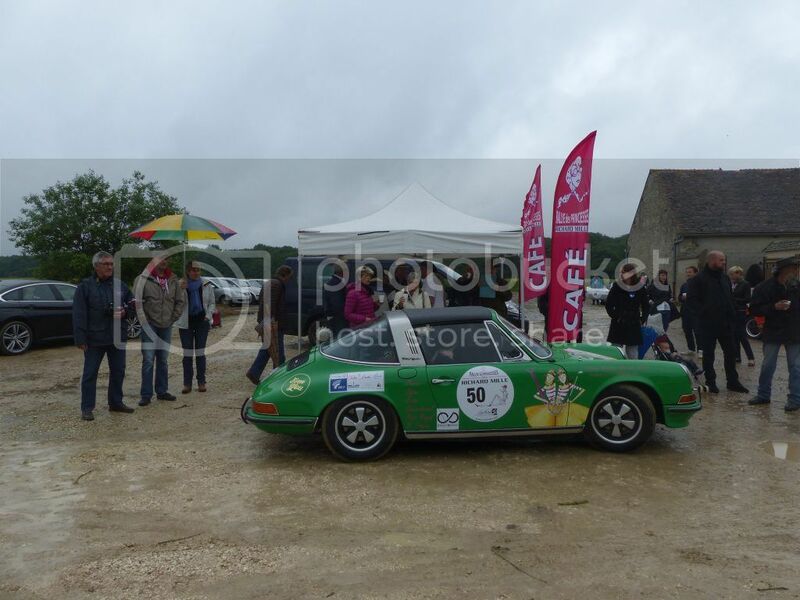 After a day of checks & exhibition in Paris, the actual race started on Sunday 29th and the start checkpoint was at a farm just about 10km off Nemours ! 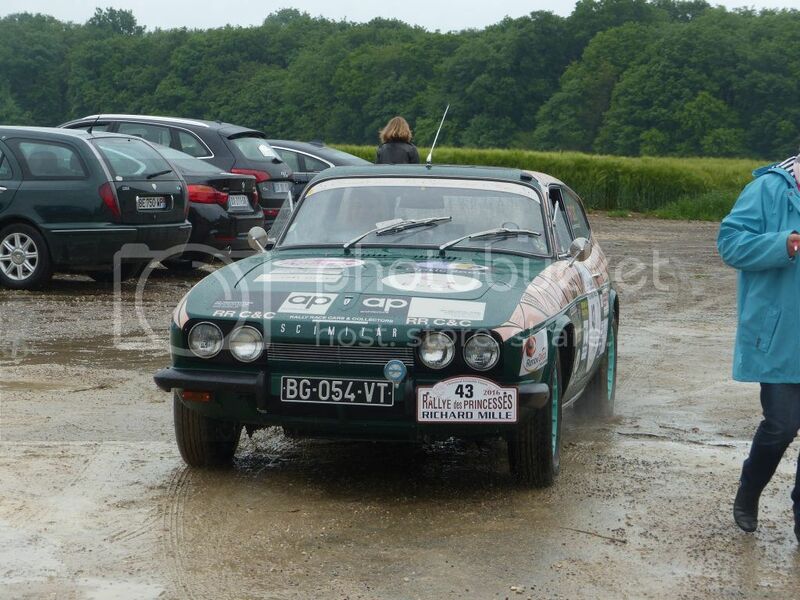 I was particularly interested since Fred Hermand had sent me an email on the Saturday telling me that for the first time a Scimitar was engaged in the Rally !! 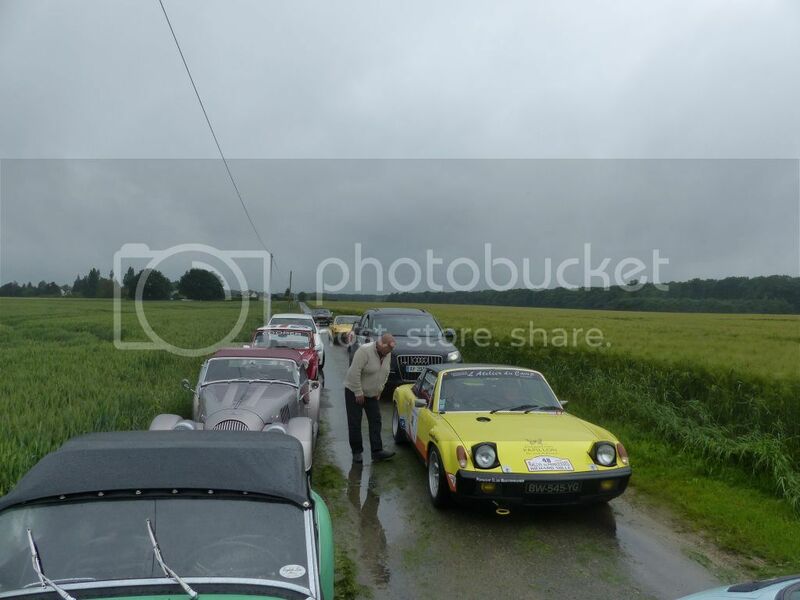 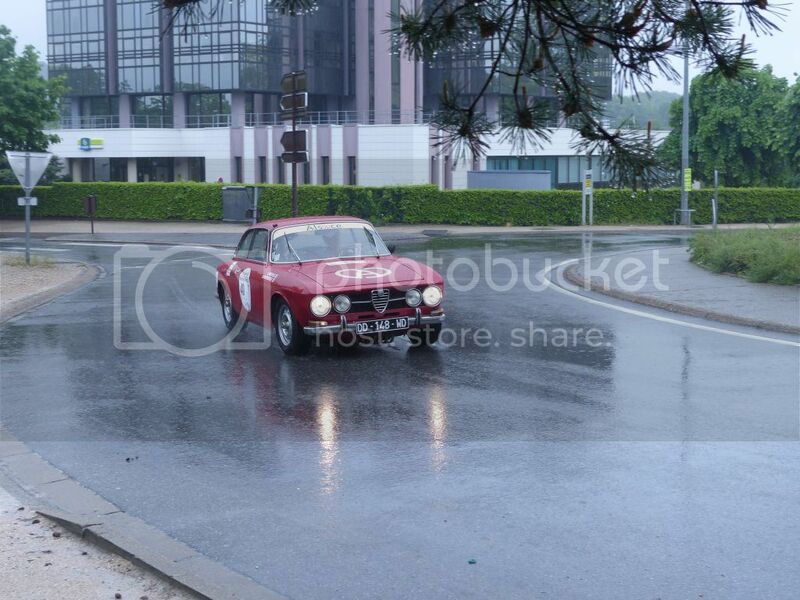 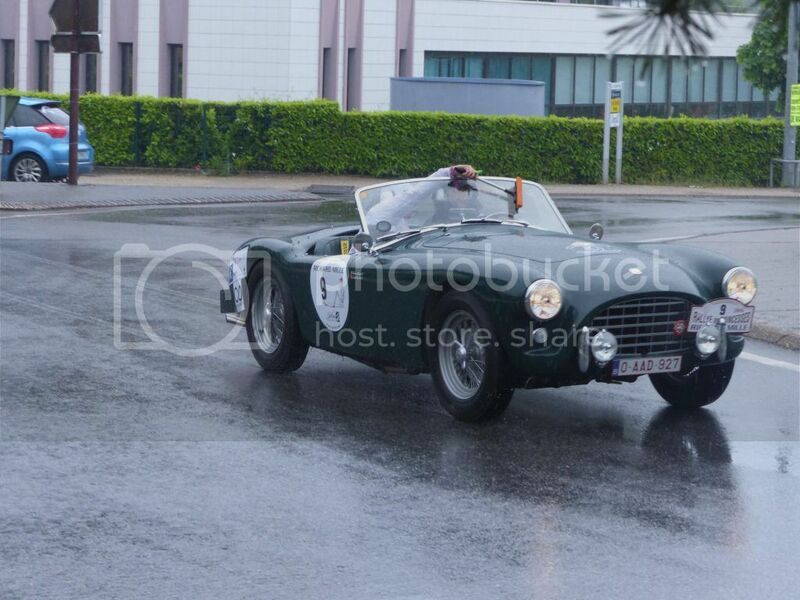 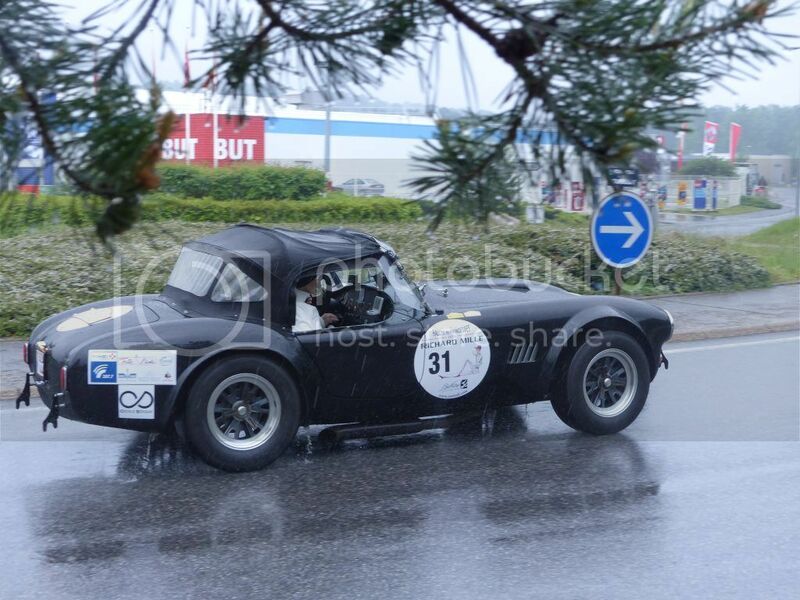 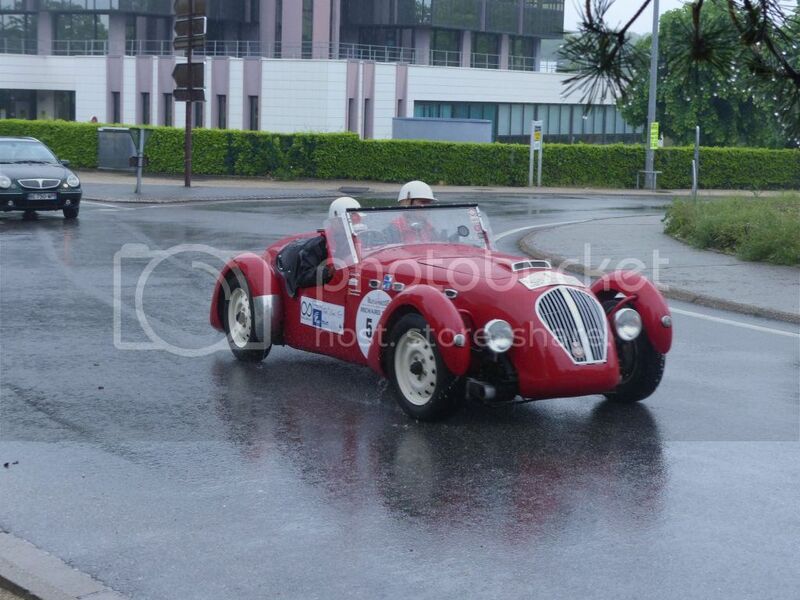 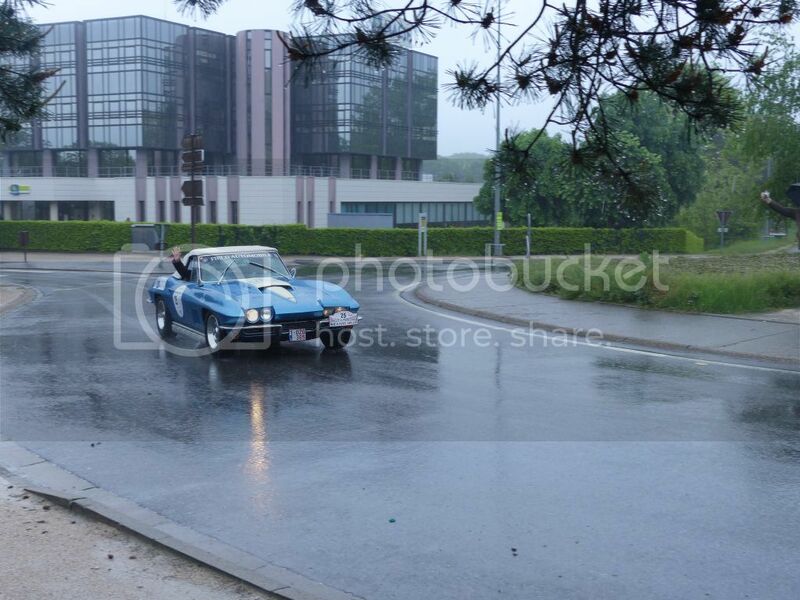 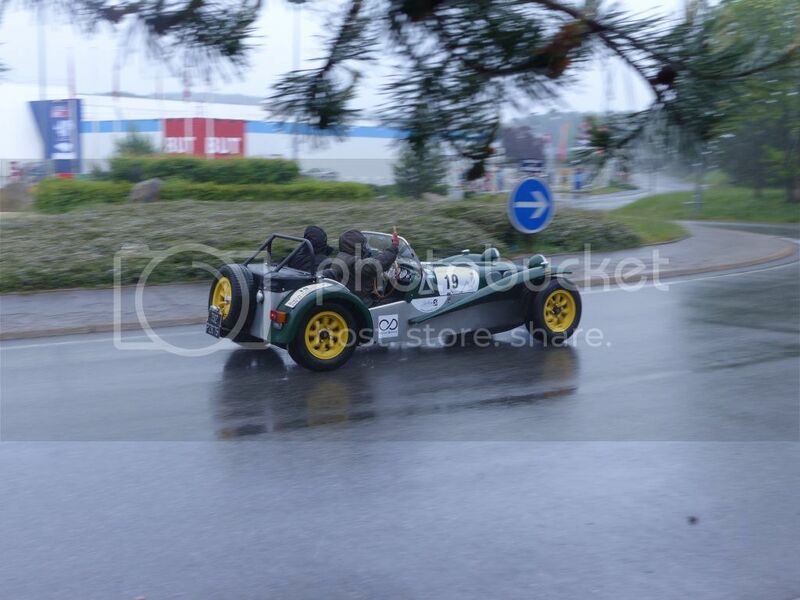 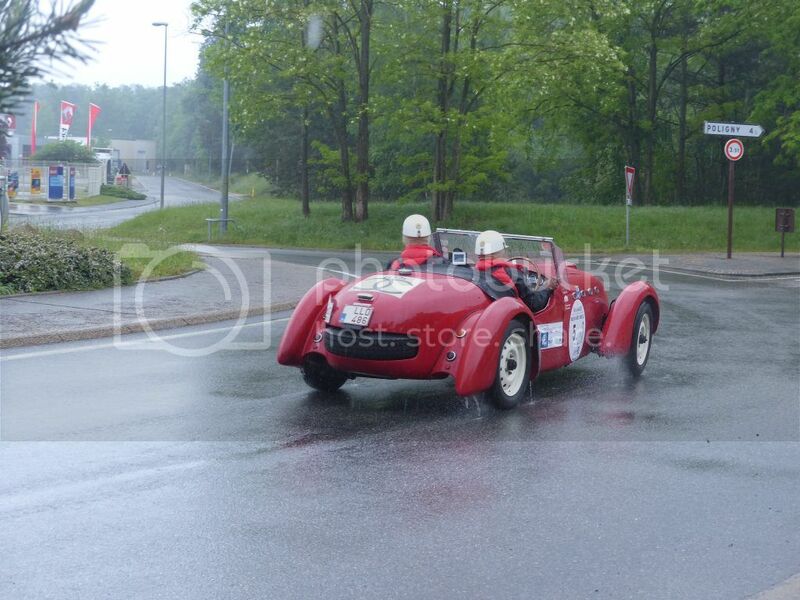 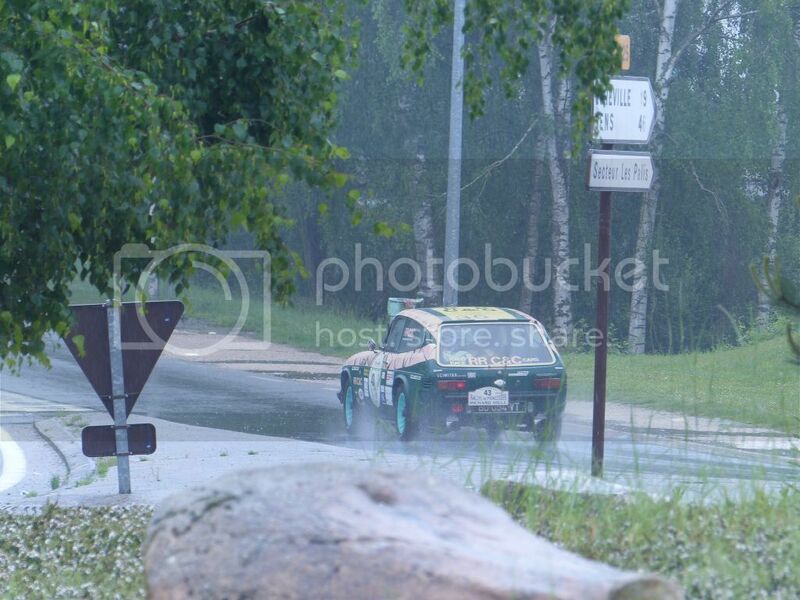 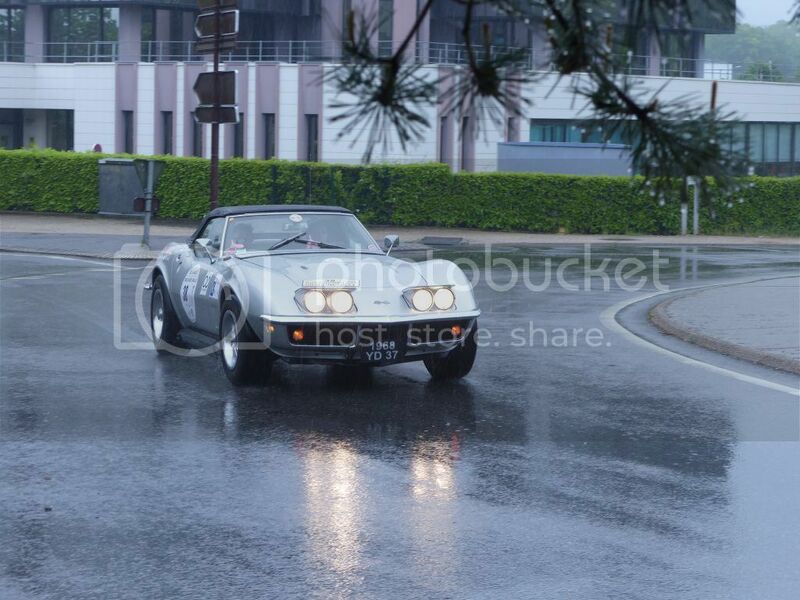 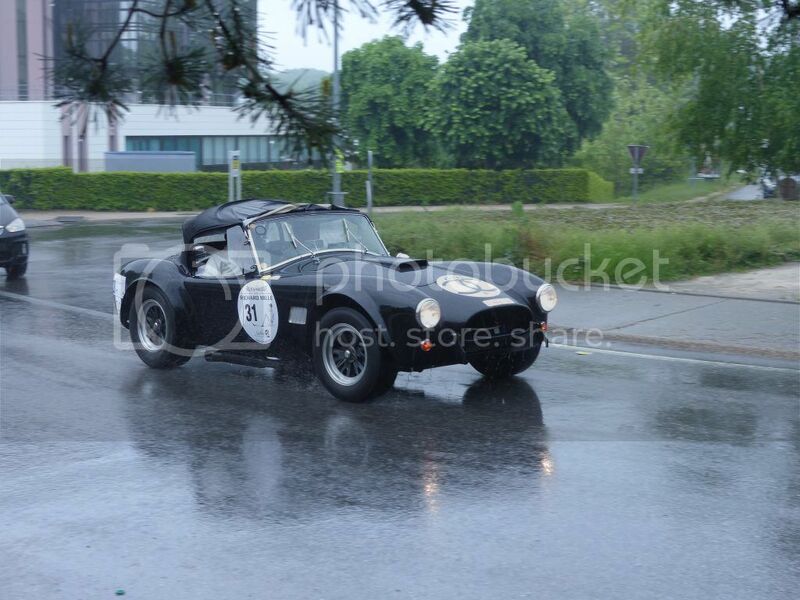 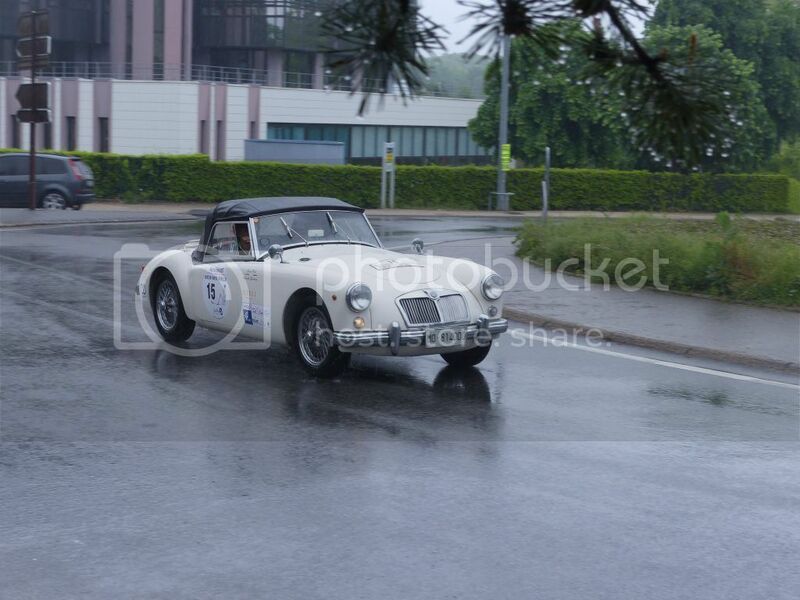 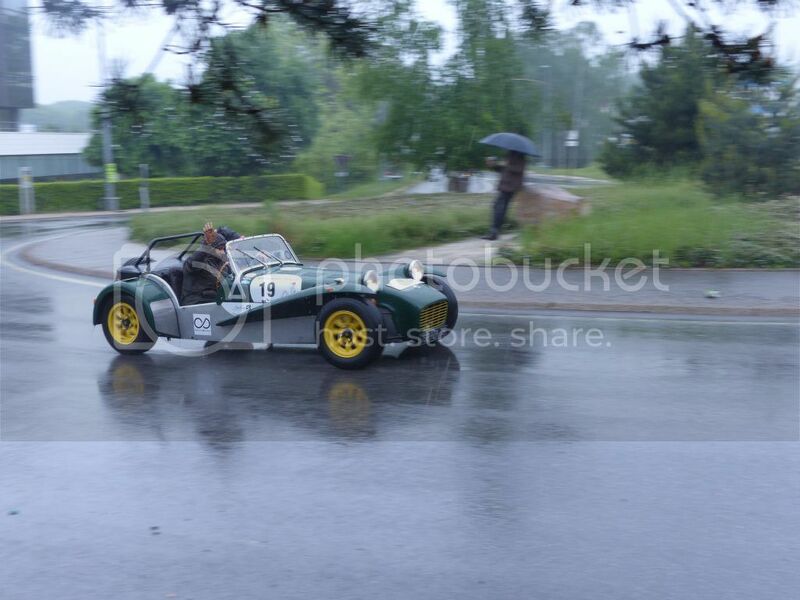 It all started under the rain, and some of the teams - 80 in total - were given a hard time since they were actually driving hood down ! 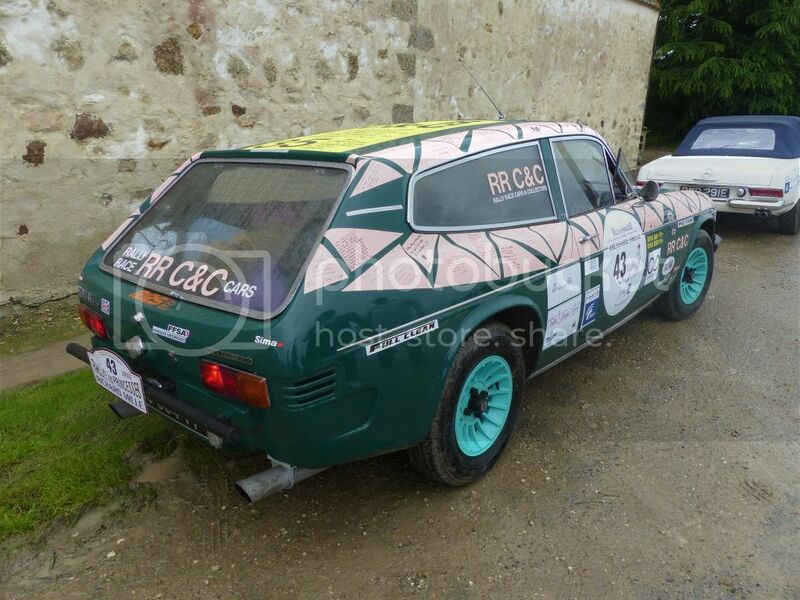 The car belongs to Dominique Mouton, a french race driver who had bought it two years ago and simply stored it in a garage by lack of time. 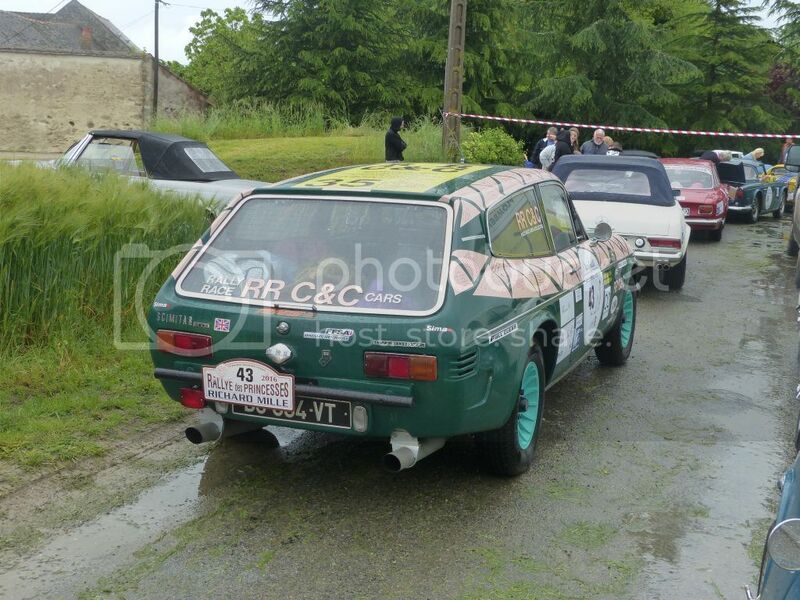 he decided to restore and prepare the Scimi for them ... which was a 4-month job.